One thing I'm loving at the moment and that's kimonos. I actually got this kimono way back in October when I wore it to Vogue's fashion night out. I absolutely loved it then and I still love it now. Especially now it's sunny! This exact kimono is out of stock but I have found similar ones here and here. 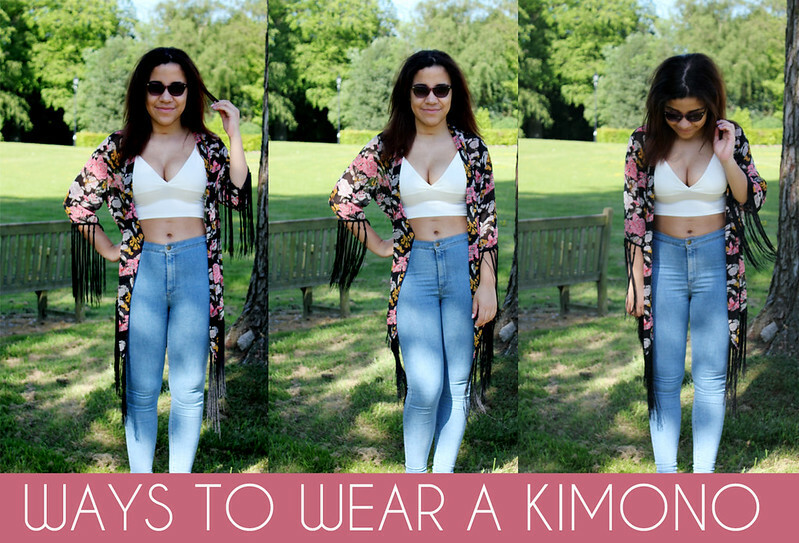 I think kimonos are a great way to change an outfit and they are so versatile too. I've paired this kimono with one of my favourite tops at the moment from Missguided which you've probably seen in a few blog post now. What's great about this top is that you can wear it during the day too especially when it's sunny! This top is only £10 and it comes in mint, pink, black and lots of other colours which you can check out here! Pairing this outfit with jeans gives it a more casual day time look. 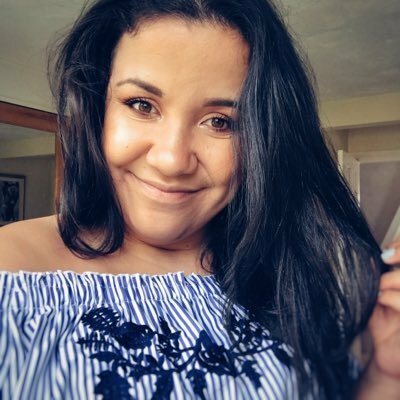 If you didn't want to show off any flesh or if it just wasn't sunny enough I'd probably wear one of these tops from Miss Selfridge. I think the sandals give this outfit a real summery feel too! 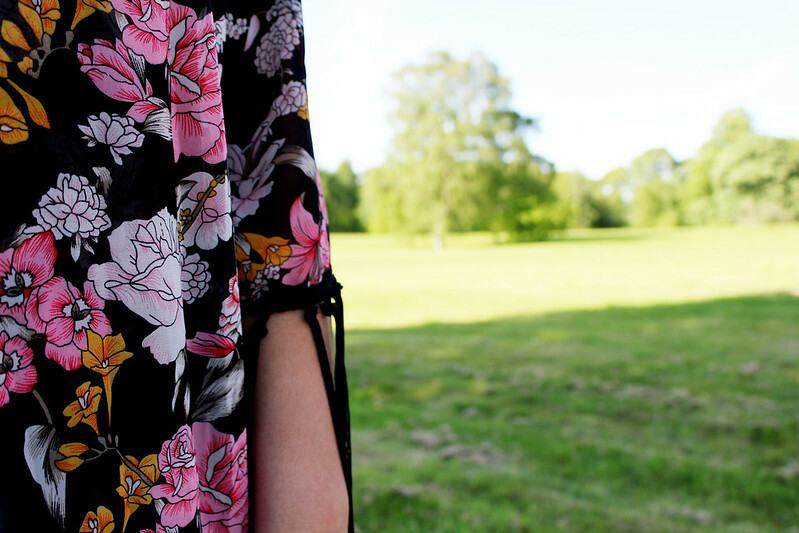 Love kimono's as they cover up but also as some light and airy, perfect for this type of weather! Super cute look! Love the shoes so much ! love the print of that kimono! Huge fan of kimonos here, I'm looking for an understated black one at the moment as the one I have is quite bright.